Palestinians collect their belongings from under the rubble of a residential tower, which witnesses said was destroyed by an Israeli air strike in Gaza City on Aug. 24, 2014. Credit: UN Photo/Shareef Sarhan. 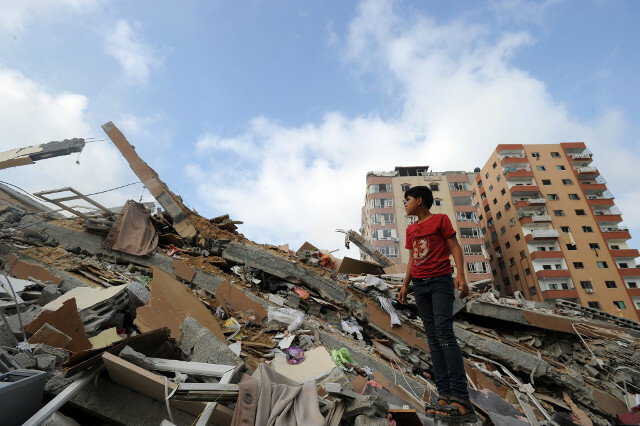 Following Israeli bombings of Gaza last year, the international community promised billions in dollars in relief aid. Very little of that aid has been delivered and GlobalPost is conducting a crowdfunding campaign to find out why. In February, GlobalPost attempted an ambitious crowdfunding campaign to pay the salary of a war correspondent.